The Red Hills Desert Garden is a center to share information about our desert life. The Washington County Habitat Conservation team wanted to build an educational center for the public to learn about the habitat we live in. 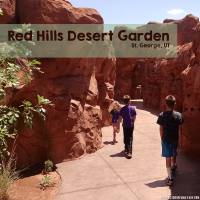 The gardens are perched just above Red Hills Parkway, overlooking the city of St. George. 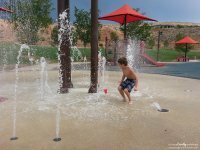 The park includes a man-made stream with water pumped from the Virgin River, as well as 170+ species of drought-tolerant plants. Right as you approach the garden, there are public restrooms and drinking fountains. There is also an expansive pavilion with benches for large group activities, or to simply escape the hot sun. A fun surprise is the faux rock replica of a slot canyon. These pictures do not show exactly how tall the walls are, but they stood far above my 6′ 7″ hubby’s head. The kids loved feeling like they were on a mountainous hike complete with overhanging archways. Another fantastic feature is the acrylic windows placed in the faux rock allowing you to view the aquatic life in the flowing river above. We know how crazy the kids go for underwater views in an aquarium, am I right?! This is no exception. There is some shade available and benches for sitting so you can spend some time peering in to the water. The stream contains 6 local fish species. Two of which are on the federal endangered species list, like the Virgin River chubs. Through out the park you will find plenty of places to take a seat to enjoy the view, or even escape the blazing sun. Some of the seats, perched above the garden, are swinging benches. Who doesn’t love a swinging bench? The streams run all over the park with plenty of areas to step across the water on large stepping stones. A feature I love dearly is the 3D words placed all over the gardens, naming each plant species. Although the plants are new, I can only imagine how beautiful this garden will become as the plant life matures. This is a great place to get ideas for your own garden and to see exactly how to create a beautiful desert landscape. Or to just gain appreciation for the desert life that we live in each and every day (or visit!) So much of the plant life seen here can also be found around town. It is nice to finally put a name to some of the plants we seen. With all the trails throughout the garden, there is also a bonus trail. If you have made your way through the garden but want a little more time to play, follow the trail towards the large rocks. 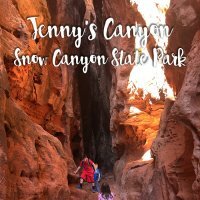 Here you will get a fantastic view of the entire garden as well as enjoy lots of rocks to climb and caves for the kids to explore. 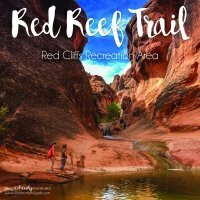 I highly recommend visiting the Red Hills Desert Garden. 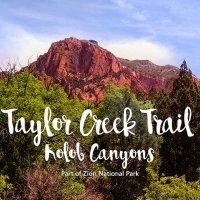 I can see this being a great family outing and even a great field trip or scouting event. The pavilions make it easy for a group activity. The entire point of the garden is to interact with nature, learn and gain a respect and love for the world around us. The more we know about our surroundings, the more we care and will want to help preserve it. This $3 million project were surely be used well by the public. Make sure you visit! You could even create a desert-based scavenger hunt for the kids.